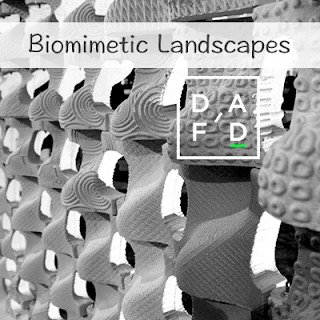 Biomimetic Landscapes is the third module of DAFD, the Program of Advanced Design and Digital Fabrication in southeast Mexico. In this workshop, participants will replicate natural patterns in the digital environment with Rhinoceros and Grasshopper, to create tridimensional patterns. They will also learn how to use digital fabrication tools such as a CNC milling machine to make molds and realize their designs. For more information please contact Alejandra Díaz de León Lastras.